Early Years Workshop, Phonics and Reading Techniques for Beginner Parents. You are warmly invited to attend our workshop which will provide some helpful hints and strategies for helping your child learn their first phonics and reading strategies. 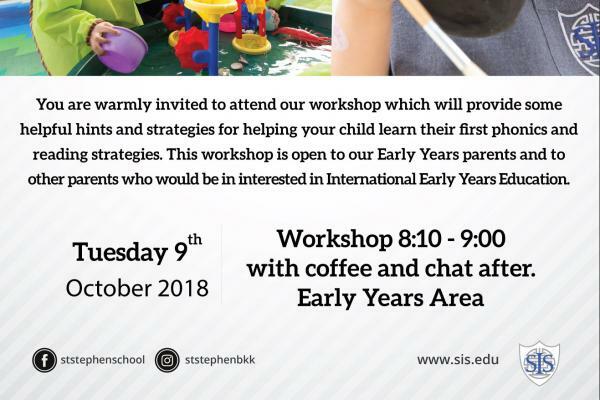 This workshop is open to our Early Years parents and to other parents who would be in interested in International Early Years Education. Workshop 8.10 - 9.00 with coffee and chat after. To reserve the seats, click here!